Anyone can lift a glass. But drinking well, now that's a completely different matter. From the dark shadows of Waterloo Lane, a new drinking adventure is born. Discover Flight Club where rare spirits are yours to mix. 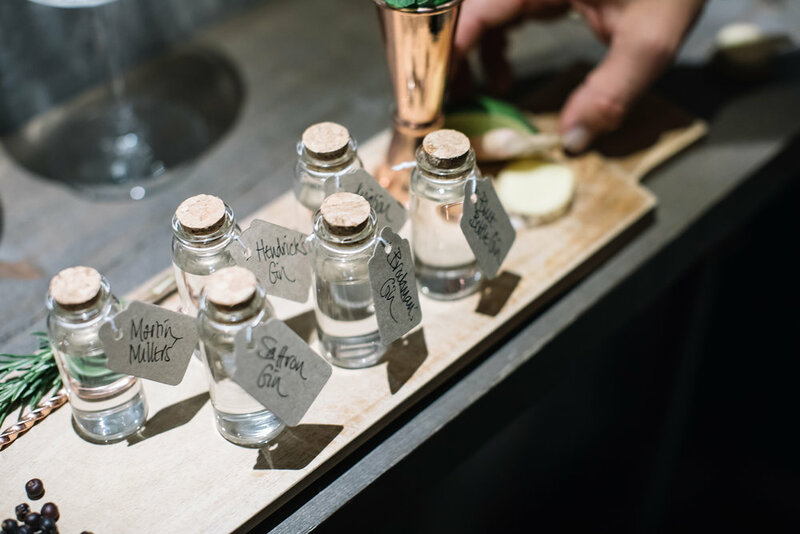 Order what you like, from a choice of four, six or eight tasting flights served in apothecary bottles, add a paired garnish and mixer and enjoy the adventure. Hendrick’s Gin with cucumber and sweet rose petals paired with Fever Tree Elderflower Tonic for a perfect balance. Jensen’s Old Tom a historical blend with supremely fresh citrus flavours and served with Fever Tree Lemon Tonic made with Sicilian lemons for a true journey back in time. Williams Chase Great British Gin with an unusual pairing of fresh root ginger, orange peel and Fever Tree Mediterranean Tonic to create a great balance to a classic G&T. Hawthorn’s Gin is inspired by the creator’s grandfather who distilled gin while in the Navy and features botanicals from the four corners of the world where he laid anchor. A smooth choice simply paired with lemon and lime to bring out the subtle and supportive citrus notes. 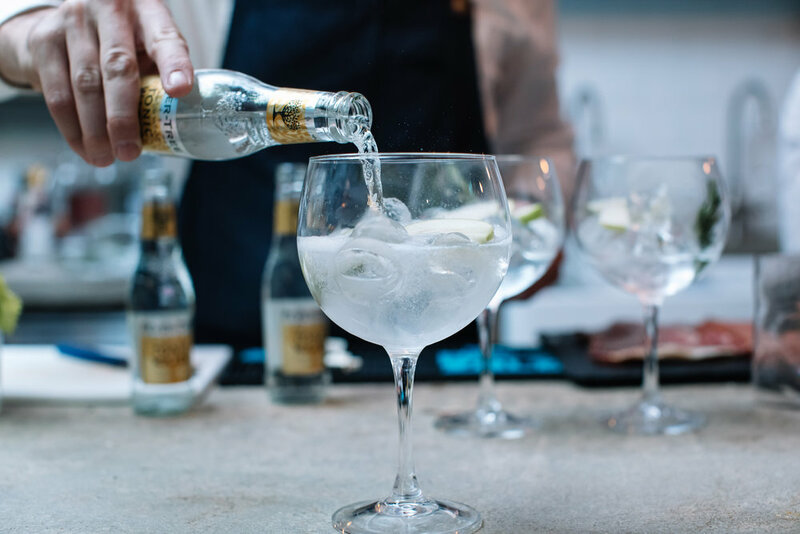 uses a secret blend of adventurous botanicals that we pair with Fever Tree Ginger Ale, fresh mint and lime to create an incredibly aromatic experience. Blue Bottle Gin’s Guernsey creator named it for the beauty of a bluebottle when seen close-up - a name that quickly became a double entendre as the gin bottle is, like the fly, a beautiful blue. Astute drinkers will appreciate the fresh pink grapefruit that lets loose the local gooseberry and nutmeg botanicals in an explosion of flavours. Saffron Gin’s French distillery Gabriel Boudier, has a roaring reputation for exotic botanicals, bringing saffron together with juniper for a highly unusual ginthat we team with Fever Tree Mediterranean Tonic, lemon and orange. One of the most complex and memorable G&Ts in modern times. 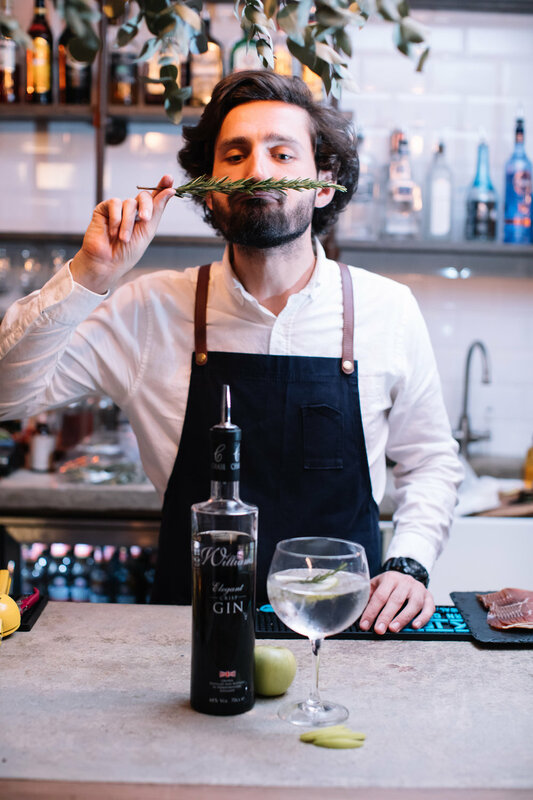 Martin Miller’s artisan distillers are truly the Da Vincis of the gin world, crafting a supremely pure gin that can be enjoyed neat. We add coriander and chilli to create a fresh and lively neat taste that will make you ask for more. Brockman’s Gin is a botanical-heavy blend like no other. Smooth enough to drink neat, over ice or in cocktails, we pair it with fresh blackberries, raspberries and Fever Tree Aromatic tonic for the ultimate pink G&T. Jensen’s Old Tom - a historical blend with supremely fresh citrus flavours served with Sicilian lemon-based Fever Tree tonic for a true journey back in time. Tarquin’s is a Cornish dry gin that captures the essence of the scenic coast. We pair with an orange slice and cinnamon to bring out the violet and coriander aromatics of this premium spirit. 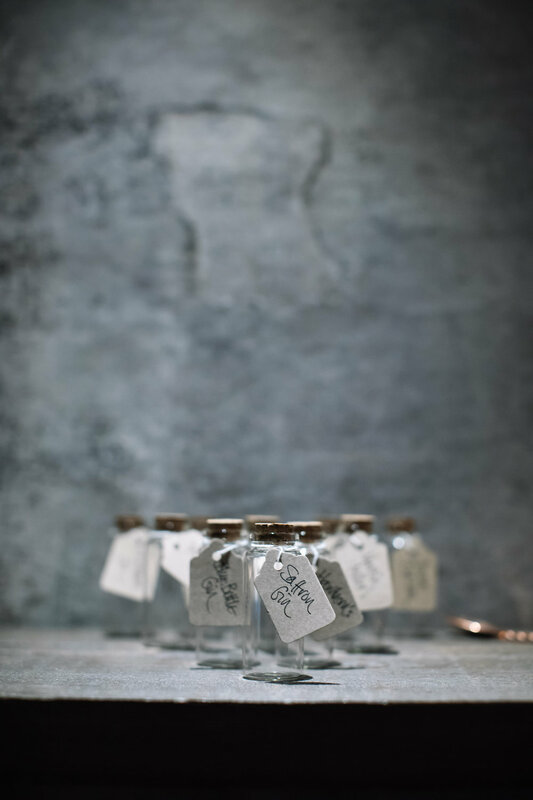 the Da Vincis of the gin world, crafting a supremely pure gin that can be enjoyed neat. We add coriander and chilli to create a fresh and lively neat taste that will make you ask for more. 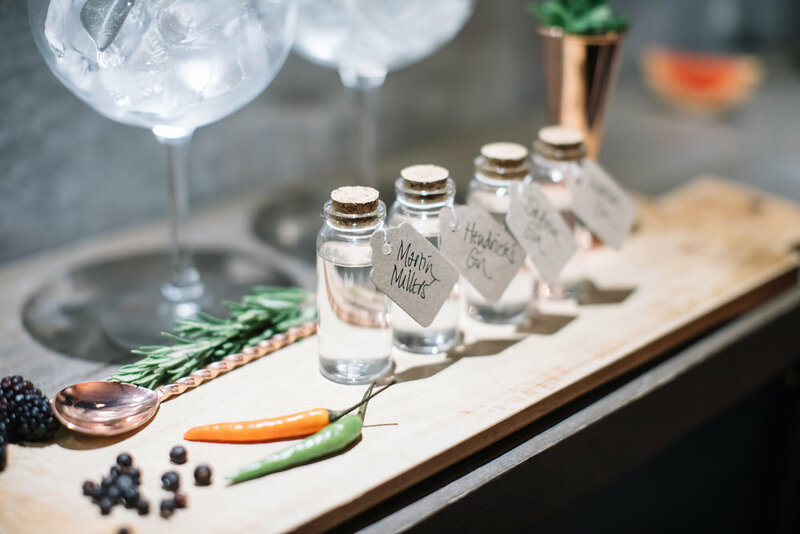 Citadelle Gin is distilled using historic techniques in cognac pots to create unique flavours that we pair with Fever Tree Elderflower tonic and a hint of nutmeg. local gooseberry and nutmeg botanicals in an explosion of flavours. to commit - as seasons change and flowers bloom, herbs thrive and berries ripen, so do the ingredients that feature in their barrel-aged gins. We match their unique character with a lime wedge, fresh coriander and Fever Tree Ginger Ale. Share a gin flight or have one each and compare gins with your friends, Cris will lead the charge and present the flight to you, educating you in the amazing world of gin, botanicals and pairings. 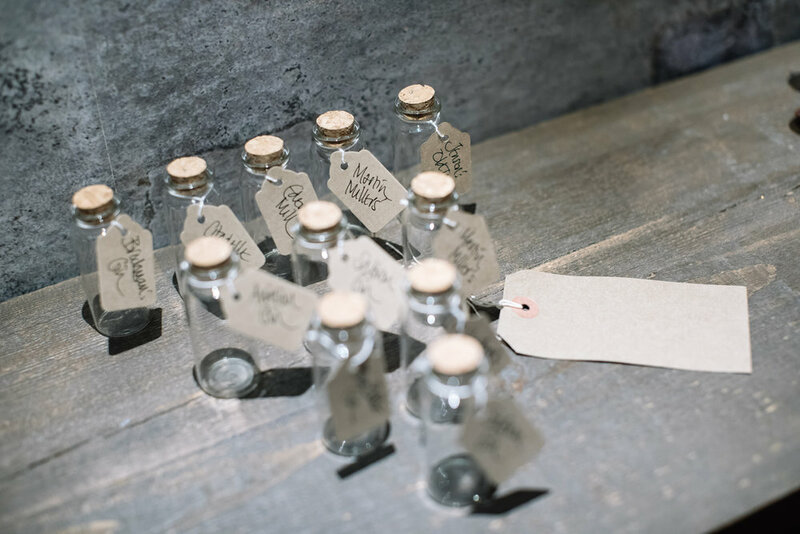 You decide what goes with what, and take home a Tasting Notes book to treasure. Join us on a journey of spice and aroma, taste and texture. We've chosen some of the latest artisan gins to illustrate the breadth of flavours. from the dry to the fruity, the full-bodied to the gently sweet. 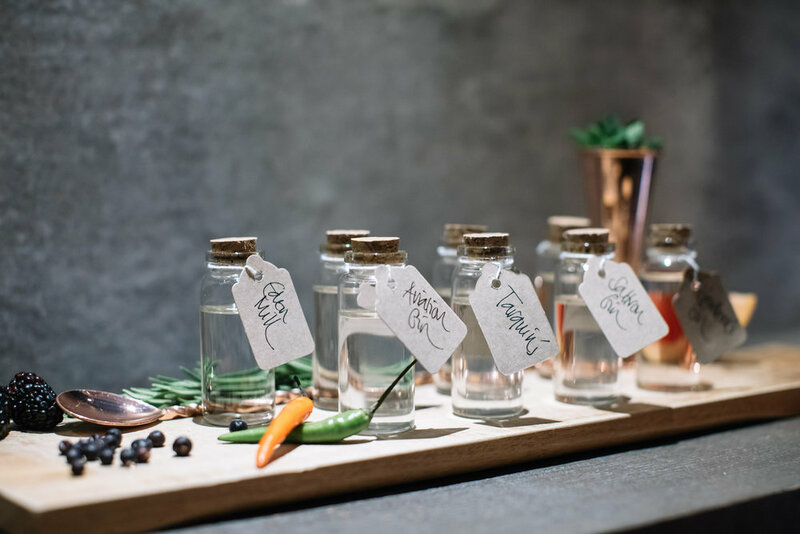 All gins come in tasting-size apothecary bottles, with a selection of Fever Tree tonics and paired garnishes.